The picture above has been engraved from a photograph by William Bellerby. It will, we trust, call to mind a gateway and porch through which not a few of us have passed to spend happy and cheerful evenings. The poor old building has gone through many changes since the foundations were laid. Before any building was erected, the spot of ground appears to have been a pond, or "slough-hole", open to the road. This seems to have been filled in, and then a meeting house built on or over it. When the number of persons attended this chapel dwindled away it was was sold to Mr Moyser, who turned it into 2 cottages. 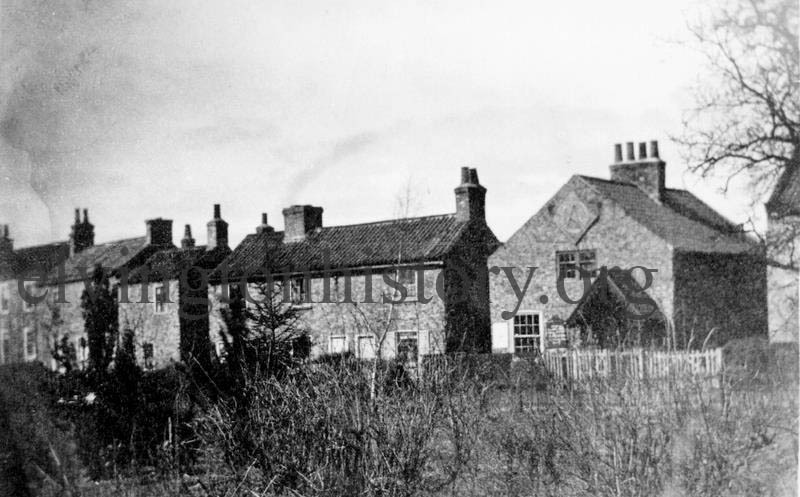 It was afterwardly purchased by the late Mrs Cheap, who kindly gave use of the building for the Village Boys school and for the master's dwelling. For this purpose the floor of one cottage was removed; the entrance to the Master's house was at the side, while that of the school was at the back. Part was was still used as the school as late as 1858, on the 29th September in which the New School was opened. For a short time the building was used as a store for timber, but this arrangement gave place to one which, we humbly hope, has been the cause of no small amount of enjoyment and harmless amusement. "On Saturday October 1st" so a bill published in 1859 runs "the old school room will be reopened as a news room". The entrance was still from the yard at the back, but as this was inconvenient alike to the members and the tenant of the adjoining cottage, the door at the back was bri8cked up, and the window in the front, which looked onto a scrap of garden between the house and the road, was turned into the entrance, while a deep porch, with tastefully latticed sidework, comfortable seats, and black and red quarried pavement, may well attract the notice of passers by. By the side of the porch stands the notice board. At the time of the photograph of the building, was taken, one notice, if we remember aright, was somewhat altered wording of an old hand bill. Inside has also undergone a transformation since Mr Bellerby taught there. The damp lower walls now support laths on which hoarding is stretched covered with a warm crimson paper, while the upper part of the walls are covered with an imitation oak paper. On the roof are pasted 2 ornamental paper circles from the centres of which hang 2 mineral oil lamps, in great part subscribed for by the members of the Reading Room, of their own unsought kindness. To the same liberality is owing to the stove which now does the work of the old fireplace. The seats are used in the summer months by the on-lookers in the cricket field. In one corner we have a table for newspapers etc, below this table is the coal cupboard, and the cupboard for old papers, lamp oil etc. 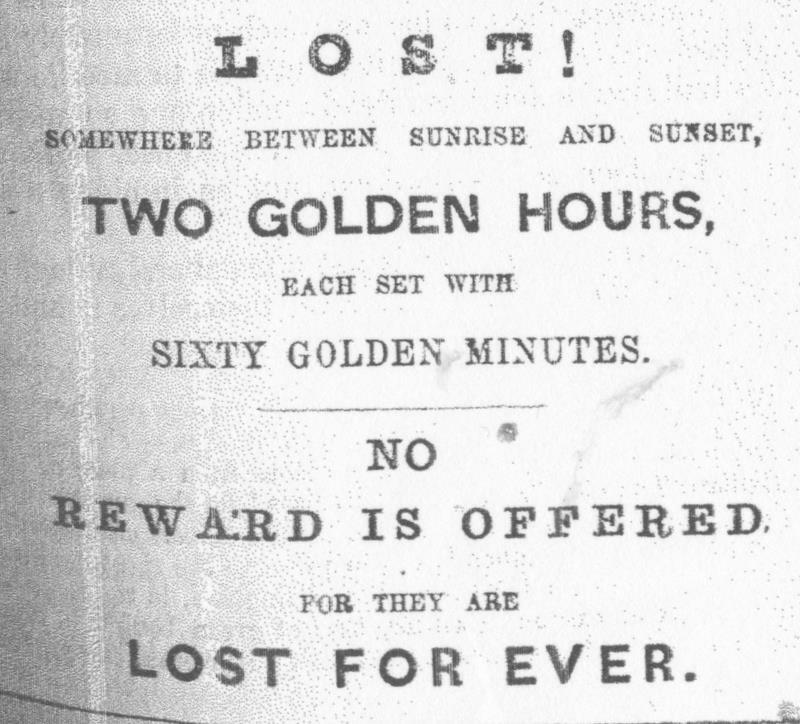 It was found in a Tassel field off the York Road. We have also a small, very perfect coin of the reign of Constantine, donated by George Bullock.